Perhaps no car brand is as synonymous with outdoor adventures as Land Rover. Through partnerships with outdoorsy creatives, the automaker produces content that further brings that idea to life. The Land Rover Stories section of the website features travelogues in which photographers document their experiences riding a specific Land Rover model through rugged and picturesque landscapes like Montana, Alaska, etc. Each story is accompanied by stunning visuals. The company’s content strategy also extends to social media and video. Last autumn, Land Rover created a video series in which it followed an adventurer couple and their baby taking a two week trip across Europe in a Land Rover Discovery. In a departure from standard content marketing strategy, Land Rover is clearly the star of its content, with the vehicles owning the spotlight in copy, photos, and videos. Land Rover Stories has a lot of fans all over the world who are always eager to see the latest sophisticated vehicles in beautiful settings. Take a look at Land Rover’s YouTube account, where it has 138,000 subscribers, or Instagram, where it promotes its stories and has 3.5 million fans. Most importantly, the majority of these fans are active on the respective sites. Glossier was first a blog before it became a thriving beauty brand. It is hard to argue that Glossier is not the best in class example of the convergence of content and commerce in the beauty space. Powered by its founder, Emily Weiss, her blog intotheGloss.com and a powerful community of brand advocates, Glossier has done a lot of growth in just three years. Its product lines are consumer driven, popular and hyped, often with waiting lists for sold-out items. This is all thanks to Glossier’s authenticity and strong connection to fans. Last years, Glossier recruited hundreds of employees and moved to a large headquarters in New York City. 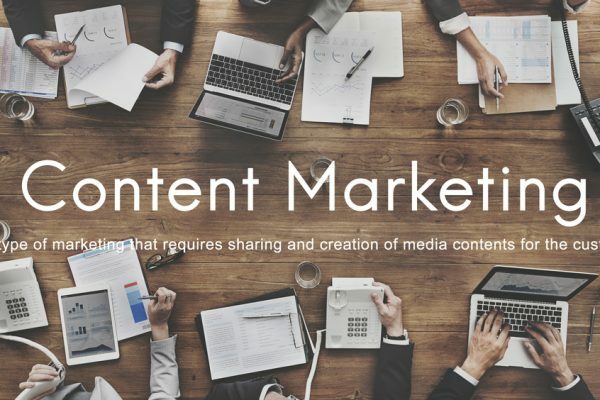 Content marketing has become an even bigger part of the success formula, with the team creating FaceTime makeup tutorials and Facebook Live Videos. The brand has a large presence on YouTube, including the “Get Ready With Me” series, which features an individual’s morning beauty routine. Looking ahead, Glossier is planning to personalize the buyer journey through content. When it comes to building a better business, boosting sales isn’t the only pathway to success. Consider, instead, leading with your values and creating a company that attracts and retains diverse employees, which has been proven to increase financial performance. That’s exactly what Bloomberg is seeking to do. Bloomberg’s Diversity and Inclusion Blog shares thought leadership and research on the topic. Stories like “How to be an Active Ally in the workplace” share actionable tips to improve workplace inclusiveness while pieces like “Workers’ Trash Talk Goes Down When Leadership Diversity Goes Up,” demonstrate why diversity is good for everyone. Bloomberg has also dabbled in creating video content to help move its message forward. For its unique and noble use of content marketing, Bloomberg earns a spot on this list. One of the most successful brands to excel at content marketing is Taco Bell. The fast-food chain serves more than 2 billion customers each year at 7,000 restaurants across the globe. However, it has become known for more than the appetizing selection of tacos, burritos, and quesadillas, as they continue to prove themselves as leaders in the world of social media marketing. The Tex-Mex eatery has become very prominent on every social media platform, creating a unique presence that is unparalleled by its competition. While the fast food kingpin, McDonald’s, may boast of more collective followers, Taco Bell has managed to be levels ahead when it comes to engagement and the brand attention that their social media activity receives. Making use of every available social media platform is one thing, but Taco Bell has lifted the veil that separates most major companies from their customers, by engaging in a more personal and fun fashion. Fourth on our list is Coca-Cola. The brand realized their marketing strategy that has worked well for decades needed to evolve. Their marketing and communication is purposeful and connects with its audience in a way that makes it stand out from its competitors. -To inspire moments of optimism and happiness. -To create value and make a difference. Creative excellence has always been at the heart of Coca-Cola advertising, little wonder they are still at the top after all these years. In 2016, the company launched GamePlan A, a digital magazine uniquely developed to build company culture and attract and retain employees. “Designed for those who believe in the power of sport, GamePlan A is here to make work life better, more inspiring and fun, be it at Adidas or anywhere else,’ reads the site. The new strategy is already seeing strong results. Back then, there were around 10,000 employees in the Adidas LinkedIn community, which happens to be GamePlan A’s most important distribution channel. Today, that number has grown to more than 33,000 along with 673,000 general followers. Most posts link back to the GamePlan A content hub. With hundreds of likes and multiple comments per post, it is plain to see that Adidas has a highly engaged audience. The site is bright and bold in its design, finally giving corporate a chance to look and feel like consumer publishing, with a balance of sports, business and lifestyle content that works to engage the athletes of today’s workforce. Adidas is a brand that keeps it 100%, not just for its customers, but its internal community as well.